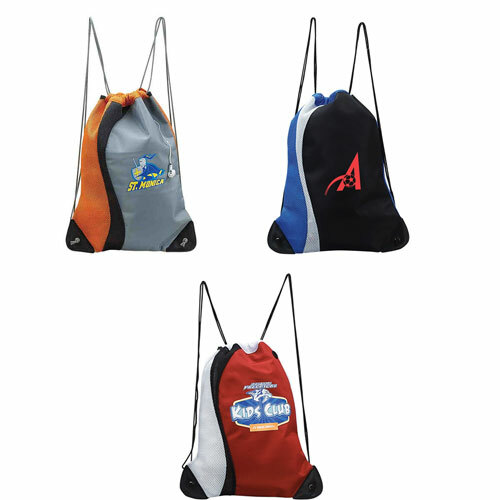 All-Star Drawstring Sport Pack | Promotional All-Star Drawstring Sport Packimprinted with your logo. 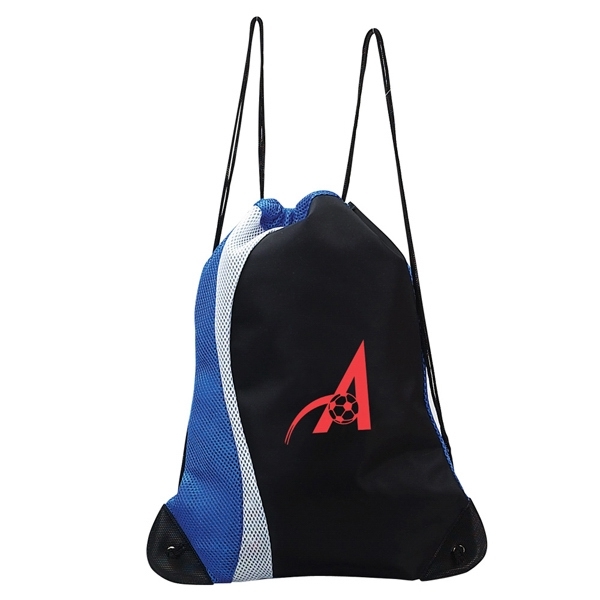 All-Star Drawstring Sport Pack is a sporty, lightweight drawstring pack.The backpack is perfect for athletes, and sports fans alike, looking for the perfect grab and go bag. Features include a headphone port, spacious interior and a small Velcro pocket inside for incidentals. 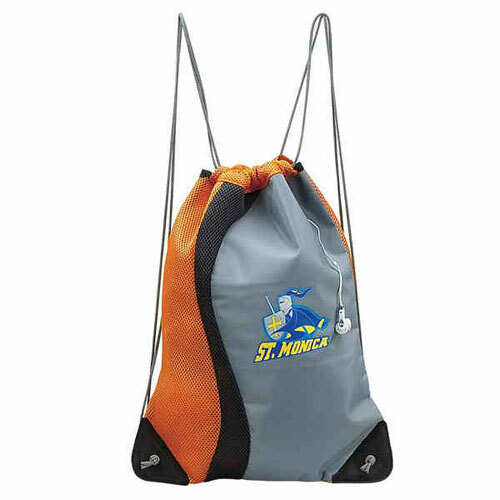 The bottom corners are reinforced with molded vinyl for added protection against the wear and tear of regular use. 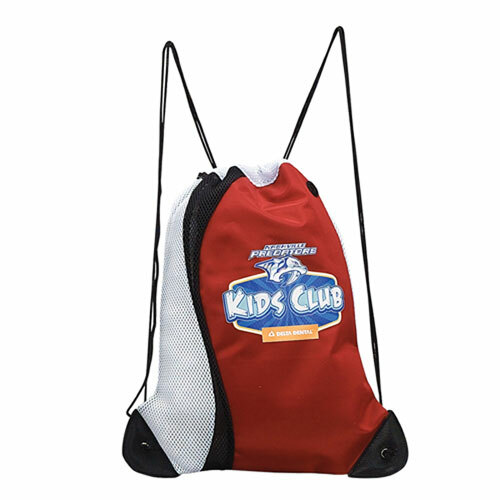 Made of 600d polyester with air-mesh technology, which lets air flow through and allows wet items inside to dry. Due to the character of air-mesh, the size may contract before expanding back out after use. Price includes a one color imprint in one location. A set-up charge is additional at $55.00 for full color process.